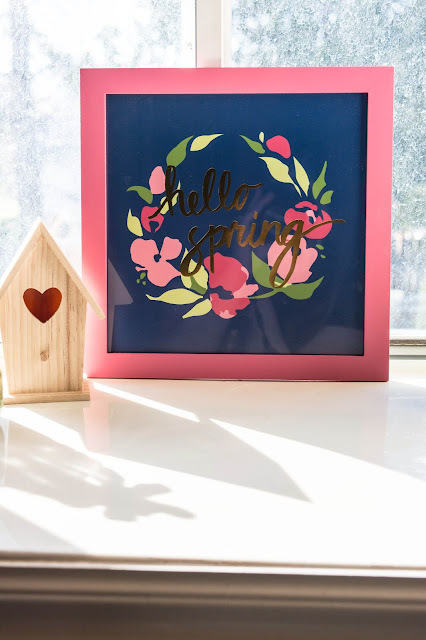 Valentina Riches : Bringing Spring into our Home - HelloMayPole Giveaway! Things around our home have gotten exciting, merely because we started decorating for Spring! Don't get me wrong I loved decorating for fall and winter but now that Spring is around the corner and summer will be here before we know it, its now time to spring out all the warm colors! Thanks to Target, Hobby Lobby, and Home Goods, I've purchased some inexpensive home decor that I'm excited to share with you! Targets Dollar section has never failed to disappoint and I recently purchase this cute little frame that is in my window in my kitchen, which adds the right amount of spring cheer and was only $3! I also purchased this wooden bunny that you can easily paint and hang anywhere! I decided to go with the classic light yellow and love how it turned out, and again only $3! 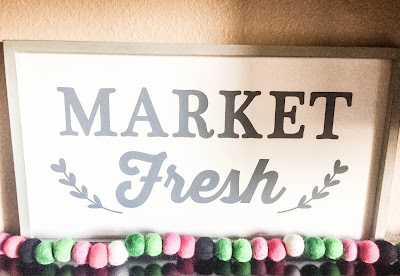 Next I went to my local Hobby Lobby ( I believe it's only in Utah) but since watching Fixer Upper (obsessed with this show) I've become quite a fan of the rustic decor, and so I got this cute little "Market Fresh" sign that hangs over my stove. 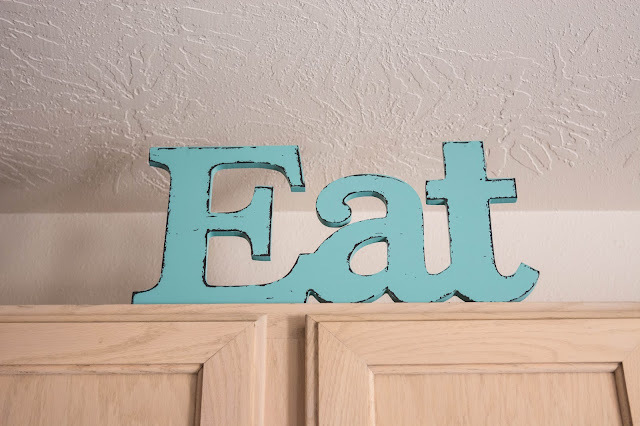 Since I have some space over my cabinets, I decided to purchase this turquoise "Eat" sign that hands more personality to our kitchen and works for both spring and summer! 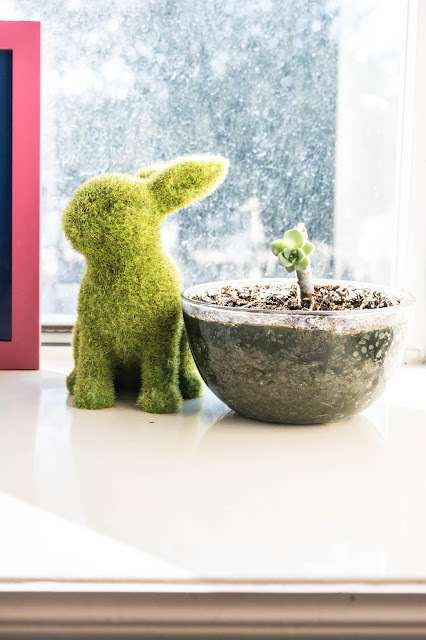 Next I purchased these two grass decorated bunnies that I also put in my window next to my frame and succulents; also side note all these decorations for Hobby Lobby were all 40% off! While shopping at our Home Goods I also got this little carrot shaped container that I fill occasionally with Easter treats and it adds a beautiful color to mix in with all of our decor. 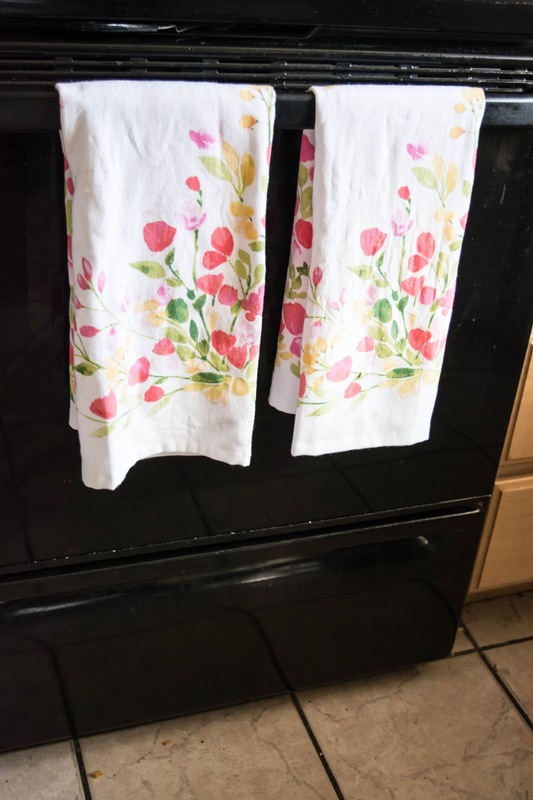 Last but not least I also purchased these two kitchen towels that are decorated with spring flowers that I absolutely love and bring me excitement as I prepare to plant my first flowers and veggies in our home garden! Now the moment you've been waiting for! I recently partnered up with Hellomaypole to bring you a fun giveaway! When I received my garland I couldn't help but think of the several places where I could hang it up! I love my watermelon garland, is it weird that it makes me hungry for watermelon haha? All you have to do to enter is go to my Instagram @vallyriches and read my giveaway post and follow the direction there. But if you comment with what you love about spring here on my blog, you automatically get 5 entries to the giveaway! So fun! I love this! I love Spring because it is finally warm to stay outside!!! The garland is sooo cute!!! So cute! I may have to go track some of these down for my mother in law, it's very much so her! 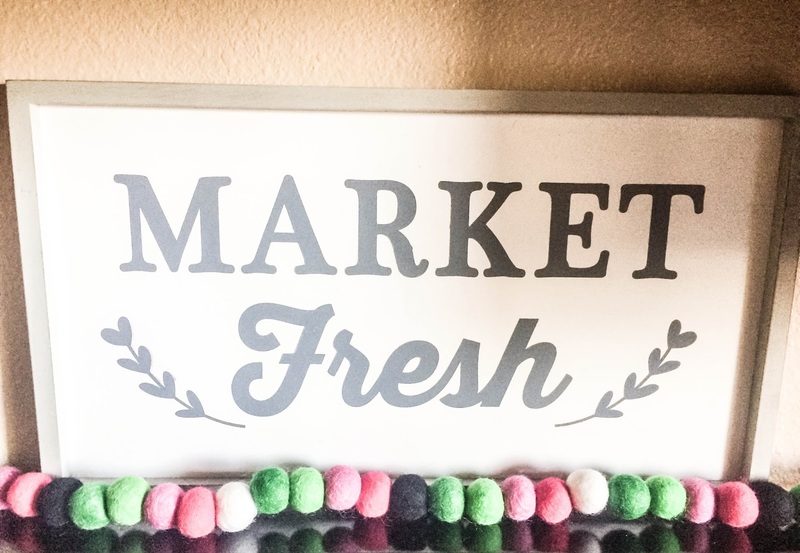 That market fresh sign is soooo cute! Love it! So cute!!! I love spring decor! I love springs because you can get fresh flowers at the market, pick fruit at the local farms, sunshine, beach bonfires and I get to wear sandals! Spring is my favorite because everything seems to wake up and color pops out everywhere. 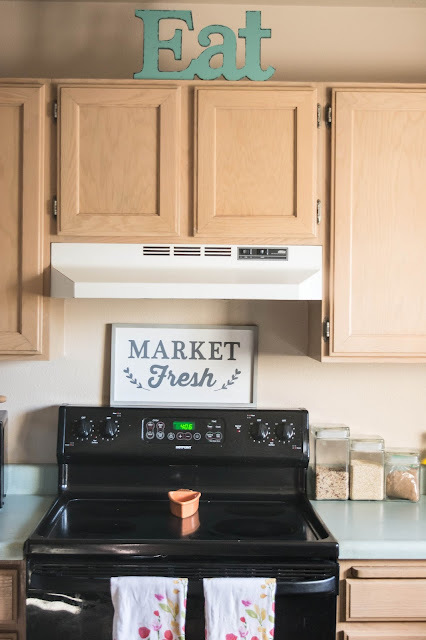 Love the simple pop of color your garland brings to your kitchen. Such a fun giveaway!! I love spring flowers and the feeling of being able to come outside again! I love opening the windows in the house and being able to let my 4 kiddos play outside after a LONG winter!!!! The fresh air.watching my grandsons play outside and the sun warming me and not having my rheumatoid arthritis hurt as much. All of your decor is so cute!! My favorite thing about spring is the weather getting warmer. I HATE the cold. Totally start to feel like a real person again when spring comes around! I love spring because it's the perfect weather to take my newborn on walks! It's so nice to get out of the house after being inside all day. There is something magical about the first sprouts popping out from the soil and the fresh green buds on the trees. I love spring because of the renewed sense of hope after winter. Those first few breaths of fresh air are so life-giving. I love spring because everything is getting a fresh start! I also love the feeling of the spring sun on my face! My favorite thing about spring is all the new life that blooms in creation! To see life come from the dead of winter brings me in awe of the Lord. Spring is my favorite season! What I love about spring is that my garden comes alive again! I love the flowers and green grass. My favorite flowers are my roses and peonies! What don't I love about spring?! But really I love the green, my fave color, it just helps me feel the joy of life! I love the birds chirping in the morning, the earlier sunrises, the sun on my skin and the sound of my kids playing outside with their friends because they finally can! I love the budding flowers and trees in spring. The sunshine, Easter, and spring break!